So today iz April fool's day. It iz a day where human's play pranks on each other... and come to find out... us. Human put tape up on the table.... evil. Human told me there waz a surprise for me in there.... I waz surprised alright. 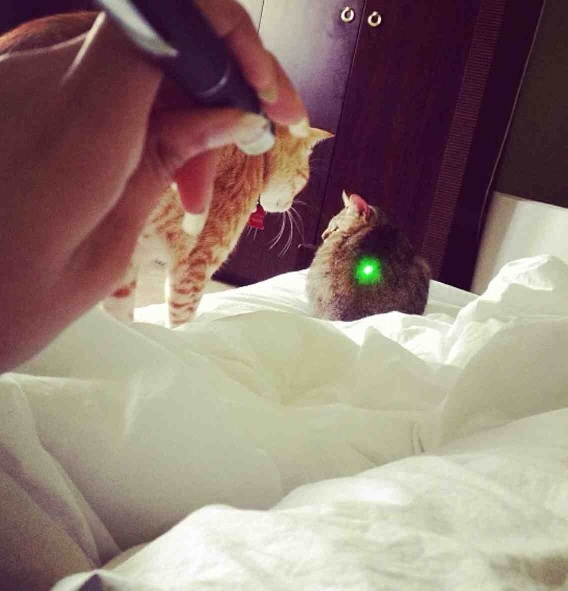 Using the lazer against us.... I waz not happy. My sister on the left found it hilarious tho. 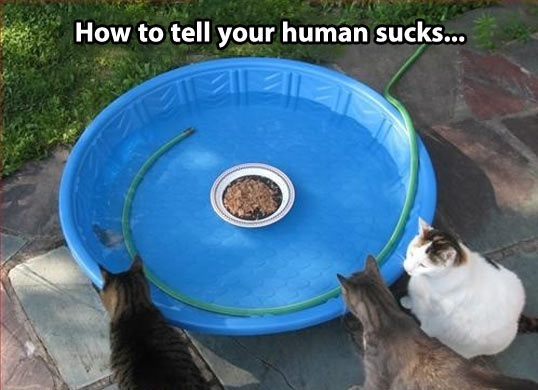 Very funny humans... wait until I do this to your toilet! Human just hands it over to me and sez... "Now we wait..." Well played human, well played.